Harcourts Capital, previously the sales arm of the Pretor Group, independent since June 2011 but still in friendly association, is a Pretoria company which over a period of more than 29 years has been acknowledged for its professionalism and integrity. Pretor became affiliated with the Harcourts International Real Estate Group in 1996. Nationally there are over 140 agencies. Harcourts Capital operates at present with a team of more than 25 agents, implements pro-active marketing by means of large scale advertising, promotions and regular property exhibitions at leading shopping centres. We also make effective use of quarterly brochures, flyers and a table book. The company features at well over 200 property portals, popular websites, Private Property and Property 24, plus implements the latest e-technology and offers many other promotional items. Our directors are Irène Prinsloo, Managing Director and Principal of Harcourts Capital, and Dennis Hamer, the Sales Director and an active partner. Dennis comes from a diplomatic background and has over the past two decades gained a wealth of experience in real estate and excelled in the retail industry being the owner of three large well-known brand stores. Irène is originally from a PR and Marketing environment and is totally committed to service excellence. In real estate since 1994, she has an absolute passion for property and people. Harcourts Capital offers a residential and commercial sales and letting department, a property auctions department since mid-2011 as well as other complimentary property services. Harcourts Capital enjoys an approximate 5% sales market share and the combined sales turnover for their residential Sales Division is ± R16 million monthly. The majority of listings over the past 12 months have sold within 10% - 15% of the original asking price. 90% of Harcourts Capital`s mandates are sold within the initial marketing period. I come from a diplomatic background and have over the past two decades gained a wealth of experience in real estate and I have excelled in the retail industry, having been the owner of three large well known brand stores. I am responsible for the recruitment of new agents, Commercial Sales and Leasing as well as the Auction portfolio. I am originally from the Netherlands and have lived and worked in Pretoria for over 30 years. Attended schooling in Amsterdam, completed Hotel Management course, obtained a certificate in Marketing and Public Relations and is a Certified and Registered Principal Estate Agent. Married to Braam and have three sons and one daughter. I joined Harcourts Capital in 1994 and have been a Principal since 1996, combining managing and selling in Menlo Park and surrounds during the lean years. However, due to the size of the agency which stands at present at around 20 real estate agents and 4 administrative persons, I decided to manage full time and appoint a most competent agent for my previous area, Menlo Park. Expertise and Qualifications I am NQF5 competent and have completed the CRS course with many post graduate courses under my belt. I also likes to stay abreast by attending training and seminars at regular intervals. I am a long standing member of the Institute of Estate Agents. Sales Achievements In my personal capacity, I have made my mark on numerous occasions in the Top 20 of the Institute of Estate Agents and am the proud recipient of the merit award. I have also been recognised for Service Excellence and am the recipient of the IEASA's merit award and in 2014 I received the Harcourts' Chairman's Award. I have also achieved sales well over R70 million and I successfully manage an agency with over 25 estates agents. I have enjoyed great success with exclusive sole mandates of which the majority of listings were sold with 10% of the original asking price and well withing the proposed marketing period. Awards and Recognition Harcourts Capital is recognised as one of the group's top national sales achievers, the branch has over the past 15 years consistently featured in the top five nationwide. On a yearly basis, a handful of Harcourts Capital agents are present in the Top 20 at the Institute as well as featuring in the Harcourts National Top 20. Mission Statement I strive to exceed the expectations of both buyer and seller and to make my expertise and experience available to the benefit of all parties concerned. Should you wish to join a winning team as an existing or aspiring agent, or when serious about selling property and/ or purchasing your ultimate home, I love to assist to make it happen. I am a well known agent in the Lynnwood areas for more than 30 years. I have lived in Lynnwood for more than 32 years. I am a top agent and I have received numerous awards. My best possible attribute is my experience, knowledge and commitment to ensure that both the buyer and seller are well looked after and taken through the process smoothly and without complication. Expertise and Qualifications: I specialise in the sale of townhouses, cluster housing and duets with specific areas being the Lynnwood’s ( Lynnwood Glen, Lynnwood Manor and Lynnwood Ridge). I combine and also specialise in the following areas that are well comparable with the Lynnwood townhouses and clusters; Brummeria, Die Wilgers, Equestria, Lydiana, Lynnrodene, Murayfield, Val-de-Grace and Wapadrand. Qualifications and Recognition: NQF4 qualified. Member of the Institute of Estate Agents since 1986. I have a Certificate in Residential Sales and I have done the Estate Agent Affairs Board exam (EAAB). In conclusion: Please feel free to contact me for a free market evaluation on your property. I would appreciate the opportunity to meet and be of some assistance to you. Lived in Pretoria for over 28 years. Attended schooling in Polokwane, Limpopo, Certified and Registered Estate Agent. Mother of 2 daughters and one son. Expertise and Qualifications Joined Harcourts in 2014. Previously an Agent with Global Estates. Full title residential property agent in Waterkloof, Waterkloof Ridge, Waterkloof Heights, Brooklyn, Groenkloof, Lukasrand & Baileys Muckleneuk. Commercial property Agent in Pretoria and surrounding areas. Passed E.A.A.B, and stays abreast by attending training/seminars at regular intervals. Member of the Institute of Estate Agents of South Africa. Holder of a Fidelity Fund Certificate. Sales Achievements Sold various properties in Waterkloof, Waterkloof Ridge and Brooklyn areas and currently marketing new 32 apartment development in Menlo Park, called Menlo Gate. Has always enjoyed great success with exclusive mandates of which the majority of listings sold within 10% of the original marketing price and within proposed marketing period. Mission Statement I will at all times strive to exceed the expectations of both buyer and seller and make my expertise and experience available for the benefit of all parties concerned. I attended Jim Fouche High School in Bloemfontein and studied at the University of the Free State and am married to Maggie and I have two daughters and five grandchildren. I joined Harcourts Capital in October 2001 and I specialise in full title and sectional title properties in Kilner Park, Queenswood, Weavind Park, Colby, Riviera and Waverley. 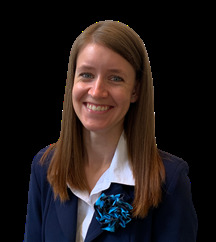 Expertise and Qualifications: My experience as a financial advisor in project planning and development is put to good use in the advising and planning of property portfolios. I have successfully completed all the Harcourts Training Academy courses. I completed the Estate Agents Affairs Board (EAAB) examination 2002. The NQF 4 course, which is compulsory for all Estate Agents, was successfully completed in 2008 and I have since attended all the compulsory yearly courses. Sales Achievements: I have sold property in excess of R110 million. Awards and Recognition: Agent of the Month and runner–up on several occasions. Recipient of the TUG-OF-WAR trophy for the past 5 years including the year 2016 . This trophy is awarded to the agent who is capable of finalising the most difficult transactions during a year. Social Media: Facebook and Twitter are regular platforms I use and I also had my own radio show on PRETORIA FM where various property-related toppics were discussed and questions from listeners answered . This was a huge success. Mission Statement: I will at all times strive to fulfill the expectations of both buyer and seller and make my knowledge and experience available for the benefit of all concerned, conduct my transactions with integrity and honesty and strive to make any transaction done with me and Harcourts Capital a pleasing experience. I was born and educated in Zimbabwe. I moved/emigrated to Pretoria in 1982 which makes my Afrikaans not as good as my English and Greek. I am a proud mother to three delightful children of which the youngest, who is studying at Tukkies, is still living with me. My joy is my maltese poodle and kitten. Expertise and Qualifications: My decision to go into Real Estate in 2006 was one I don’t regret, and am a certified Estate Agent with a valid Fidelity Fund Certificate. I specialise in residential sales in the Faerie Glen, Boardwalk, Olympus, Garsfontein and Pretorius Park areas. As well as having my EAAB and PDE exam certificates I have my NQF level 4 and SAQA ID 59097 qualification, and continue with yearly CPD and other Real Estate designated training. Sales Achievements: I have sold property in excess of R75 million. Together with the Harcourts Exclusive Marketing Plan and my professional friendly service I pride myself in obtaining Exclusive Mandates. Over the last year I successfully achieved an average of 90% of the asking price, within three months for my clients. Mission Statement: I will do the same for you, where you will experience a pleasant and smooth selling experience, from the first appointment to the handing over of the keys. I will at all times strive to fulfil the expectations of both buyer and seller and make my knowledge and experience available for the benefit of all concerned. Place your property in Harcourts’ trusted professional hands, with 30 years of expertise, together with a dynamic team and the best technology. I am of a European background, mother Italian , father Welsh, my husband German and born South African , so it is no surprise that I enjoy doing business and integrating with people from all over the world .....I am a little United Nations. Grew up in the Free State, graduated from Wits University, taught Visual Art and English at schools in the Old East of Pretoria for long years and concluded my professional teaching career at St. Mary`s D.S.G. in Hillcrest, Pretoria. Studied Garden Landscape and Architecture at the University of Pretoria. 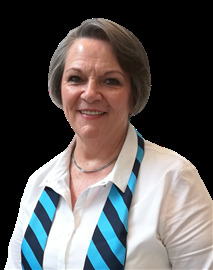 Building on my organisational and administrative skills, as well as my passion for people and their homes, I joined Pam Golding Properties. After many successful years, I left the Corporate World and was the Principal of my own Realtor Company in Waterkloof. After ten years of running my own company, I joined Harcourts Capital. I have 18 years of Realtor experience. Expertise and Qualifications: Qualified as a Master Practitioner with Real Estate Level NQF 5, with Distinction. Qualified with the EAAB's qualification Certificate of Estate Agents (CEA). Member of the "Multi-Million Dollar Producers". Member of the Estate Agents Affairs Board (EAAB). Member of the Institute of Estate Agents of South Africa (IEASA). Sales Achievements: I have sold in excess of R 150 million of Real Estate and I am a member of The Multi Million Dollar Producers. Experience I have been an Estate Agent since 2005. I worked in Potchefstroom from 2005 to 2011 and have lived and worked in Pretoria from 2012. Before Real Estate Radiographer and stay-at-home-mom. Expertise and Qualifications Worked for a franchise and smaller company before, specialising in full and sectional title residential properties, as well as student accommodation. Joined Harcourts Capital in 2012. Full and Sectional title property specialist in Murrayfield, Meyerspark, Val-de-Grace, La Montagne, Lydiana, Brummeria, Wilgers and Willow Park Manor. Regularly attend training and seminars. A member of the Institute of Estate Agents of South Africa. Holder of a Fidelity Fund Certificate. Inspiration For me, real estate is not a work, it’s a way of life. Keys to Success My key to real estate success is: knowing my industry, knowing my product, adding value and taking care of my clients. I strive to be persistent and determined in everything I do. My focus is and will always be helping others achieving their goals. Mission To commit myself to provide the best service possible to my sellers and buyers at all time. Assist my sellers with a broad marketing plan and marketing techniques – to provide service “excellence”. My goal for my buyers is to find them just the right home, at the best price, in the right time, with the least amount of problems. When you are serious about selling and/or buying, I would love to assist you. For the past fifteen years I have been involved in the property market as a real estate agent. What a journey and one that I will never regret! I grew up in the Free State and received a B Soc Sc degree at the University of the Free State. As a social worker, with majors in Social Work and Psychology, it was not difficult for me to make this huge career change. I dare say that I am doing as much professional social work as a real estate agent as during my years as social worker. The responsibility of working with the client’s biggest asset is huge. A seller or purchaser invites you into their family’s lives, they share very private information with you and rely on you for guidance, trust and integrity. My husband and biggest supporter is, Piet Meiring. Between the two of us we have seven children; they are all married; now we are fortunate to have fourteen children! We just heard that grandchild number eighteen will be born in August 2018. One big happy family! Expertise and Qualifications: I started working as a property consultant in 2002 and took over the company in 2006. For five years I was the principal agent and specialised in new full and sectional title developments. 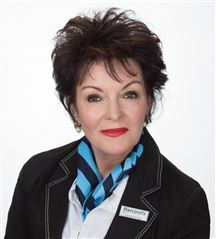 During September 2011 I joined Harcourts Capital, specialising mainly in the Old East of Pretoria. In the past four years I focused on the Lynnwood Glen suburb. The result is a 90%+ market share in this fast growing area, less than two kilometres from Menlyn Main. I am a full status agent, holding a Fidelity Fund Certificate of the EAAB and complying with the CPD training, that is required of every profession in South Africa. Sales Achievements: I have sold property in excess of R152 million. Awards and recognition: Received the Runner up, 2nd price trophy for Top Agent for the year 2017. Top Agent December 2018: 2nd Nationwide Featured in the top 20 Agents in 2018. No person is an island! I am grateful for all the awards that I have received during the past seven years, but I must acknowledge the professional team behind me. Excellent mentorship from our managing director, the professionalism and training from Harcourts Capital, Harcourts nationally and internationally as well as the always willing and able admin department, guided me and inspired me. Mission Statement: The HARCOURTS PROMISE AND VALUES say it all! I endeavour to gain my clients’ trust, to never act in any way that would do harm to the profession of the real estate agent. I want my clients to experience that I enjoy working with them and that I always treat every transaction with the respect and integrity that it deserves. 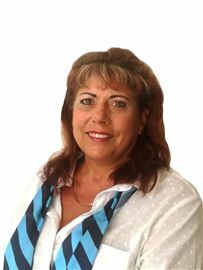 Maryna joined the Real Estate profession twenty five years ago after working as a qualified nurse for many years. Over the years she received many prizes and awards, because of dedication, tenacity and hard work. She successfully passed the following exams of the Estate Agents Board; CRS, CRS-Advanced, and graduated from Homenet’s Training Academy with an advanced diploma in Property Practice. She is always willing to help and learned a lot about the Property Industry. Her motto is "Your Estate Agent for Life". Maryna specializes in the Valhalla & Zwartkops areas in Centurion . I have been in this great industry for many years. After managing Sectional Title flats for 15 years, in February 1999 I joined Harcourts. I now specialise in the beautiful and exclusive security estate of Glenwood Village . I also resided in the Estate for more than 20 glorious years. My expertise and qualification within Real Estate Industry are that I have an intimate and professional knowledge of all the houses in Glenwood Village and most of the home-owners have become friends over the many long years. When in this security estate , I feel that I am “ home and among “old friends” and what an amazing and warm feeling that is! I make sure that I stay abreast and keep up to date with all the changes in the fast moving property market and within my special area. I attend training, seminars, workshops and receive up to the minute news and views of the Property World as my company is well represented Nationally and Internationally. I am a member of Estate Agents Affairs Board of South Africa and hold an up to date, current Fidelity Fund Certificate ensuring my authority and licence to sell property in South Africa. Sales and Achiements: I achieved the Top Performer`s Status and Five Star Award Nationally and have sold properties in excess of R 200 million. Mission Statement: I will strive, at all times, to exceed the expectations of both my buyer and seller and make my expertise, experience and my excellent professional service available to all parties concerned. Knowing my love of what I do, I believe that I am the very best person for your property needs and will make that experience a happy and memorable occasion. Lived and worked in Pretoria and surrounding areas in the IT industry for 30 years. I am a sales professional with solid experience at executive level dealing with corporate solutions in sales, services, marketing and customer management with a clear understanding of the decision-making process. A full range of skills developed in successful sales and marketing. I am enthusiastic and confident, results orientated and focused on value through delivering high levels of service. Managing and maintaining long-term customer relationships. Expertise and Qualifications: Joined Harcourts Capital in 2017. Full title and sectional residential property in Waterkloof Glen, Constantia Park and Erasmuskloof. 100% Achievers club gold awards winner. Gala award for professionalism. International sales achiever. Mission Statement: Achieving results through a balance of consultation and negotiation allied vision and clear direction. Creating the experience that will exceed both buyers and seller’s expectations. Born in Durban but lived in the Eastern Cape for 20 years before moving to Pretoria in late 2013. Expertise and Qualifications Personal I have completed 7 Two Oceans Marathons, 2 Comrades Marathons, 16 Ironman Events and over 20 other Marathons and Ultra Marathons. In addition, there have been 2 Argus and 3 Herald Cycle Races with numerous smaller cycle races as training events. Most of my races have been completed for various charities including Ironman 4 Kidz and Sunflower Foundation. While these achievements may seem insignificant it does demonstrate that I have the tenacity and will power to see a project through to its completion. Business Having worked at a Building Society for 16 years and completed the relevant exams, I did obtain an insight of the workings of the property industry but being an agent on the ground presented its own challenges. As a Property Professional, I am working towards the relevant qualifications but in addition have the benefit of the training provided by Harcourts. Their commitment and dedication to training makes for a better agent. I do hold a Fidelity Fund Certificate. Awards and Recognition When I arrived in Pretoria, it was without any form of network to fall back on and in addition, I was given an area where Harcourts had little or no representation for the previous 3 years. It meant starting from scratch. My accomplishments in sales during the last year meant I placed in the top ten of Harcourts Capital for 2017. As an agent, I believe in Exclusive Mandates as the premier marketing tool and have had a success rate of more than 90% with this sales method as well as selling the mandate within 10% of the list price and the proposed marketing period. Mission Statement Selling property is all about the experience for both seller and buyer. My mission is to create that awesome experience that will exceed both buyer and seller expectations and create hassle free transactions. I grew up in Rustenburg and matriculated at Rustenburg Hoërskool. After school I decided to move to Pretoria and start working. In 1995 I started my sales career and joined Adcor Marketing. In 2001 I returned to Rustenburg and opened my own business and established myself in the timber industry and as an independent contractor. I signed a contract with the mines and did timber related work for Lonmen RPM and Impala. During this period I also worked as an Estate Agent with Homenet Property who specialised in marketing and facilitation of Commercial properties. In 2008 Rustenburg experienced an economic recession and I sold the timber business and relocated to Pretoria where I took up employment at Kwikwap which is a web design company. I was an independent freelancer selling website programs to companies. EXPERTISE AND QUALIFICATIONS I joined Harcourts Capital in April 2014 as an intern agent. Full title and Sectional title property consultant in Garsfontein. I will use my sales experience gained, plus the understanding that property is most people's biggest asset and it is important to sell and buy right. I am a member of the Institute of Estate Agents of South Africa. Holder of Fidelity Fund certificate. MISSION STATEMENT My mission is to ensure that my client always comes first! I aim to hold up and maintain my company's name. I will work hard and always strive to keep my clients happy and satisfied. "What lies before us and what lies behind us are tiny matters compared to what lies within us." Soti Christoudoulou who is originally from Zimbabwe attended Primary and High School school in Cyprus and went to College in London (UK) before setting in Pretoria where she has lived in worked for the past 40 years. Soti is married to Chris and has two daughters, Connie and Vickie. Soti joined the Homenet Pretor team over 18 years ago and is known as the Full & Sectional Title specialist in Arcadia, Hatfield, Erasmuskloof, Sunnyside East, Waterkloof Glen, Newlands and Constantia Park. Soti stays abreast of all the changes in Real Estate by regularly attending the Harcourts Training Academy and has passed her E.A.A.B, C.R.S. examinations. Soti has been awarded many awards for her excellence in real estate, she has featured in the top 20 sales consultants every year since joining Pretor/Homenet/Harcourts and among her other achievements are: Homenet National Sales Achiever Featured yearly in the Institute of Estate Agents Top 20 Merit Trophy – Best All Rounder Recipient of 2 x Ambassador of the Year awards due to service excellence. Most recent achievements include Agent of the Year for 2018 and Platinum Award for Commission Generated Sales (As from R350 000) from January to March 2018 & April to June 2018. Also Platinum Award for 12th Postion Top Sales Consultant Nationwide in 2018. Soti Christoudoulou recently acquired her RPL-FETC: Real Estate and with over 390 Million rand in career sales and achieving a 90% success rate we know there is only 1 way for Soti to go from here and that is up! I joined Harcourts Capital in April 2012 and I love every minute of it ... I have learned a lot and have grown as a person. I was working in a totally different field for seven years and due to my husband’s job we got transferred to Pretoria and I had to look for a new job. As plans worked out the Lord lead me to Harcourts Capital! At first I thought I would never make it in this industry but with great training and guidance I now feel confident and comfortable in my work. I consider myself lucky to work with this team. I am a 31 year old happily married woman, born in Keetmanshoop (Namibia) and raised in Kuruman. I love the outdoors and of course shopping, however my ultimate relaxation is with a good book or watching a good movie in the leisure of my own home on my own couch with popcorn!!! My favourite holiday destination is Swakopmund (Namibia) or let’s just say anywhere in Namibia and the coast, as long as I can hear, see and smell the ocean I am happy!!! I love spending time with my family, we are quite a big family ... five sisters and one brother ... which makes the Christmas holidays even more special!!! I am also very lucky in that I have a twin sister who is also living in Pretoria and this makes life more bearable when my husband is away on business as we make the most of these times to shop together, spend time with her two adorable children or just catching up while sipping on a cappuccino. I am blessed to still have my parents with me as I could not have asked for better parents – they have seen us all through bad and good times and we are a very close-knit family!!! Family is very important to me – thus I am so lucky to feel that Harcourts Pretor is my second family and I love spending time with them!